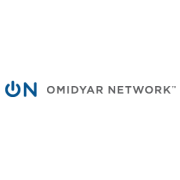 Better than Cash Alliance, a global public-private partnership dedicated to supporting organizations’ transition away from cash to electronic payments. The Better Than Cash Alliance, launched in September 2012, is accelerating the move towards electronic payments, particularly mobile, in order to enhance efficiency, accountability and transparency. The governments of the Philippines, Afghanistan, Kenya, Peru and Colombia have made public commitments to achieving this shift. Internally, USAID has led the U.S. government by issuing an agency-wide order to move away from the use of cash and by working with our implementing partners to drive millions of dollars toward mobile payments. USAID convened the founders of the Alliance, which include The Bill & Melinda Gates Foundation, Citi, Ford Foundation, Omidyar Network, U.N. Capital Development Fund (UNCDF) and Visa Inc. The Alliance will call on governments, the development community and the private sector to adopt the use of electronic payments for programs that support people living in poverty and provide resources to those who commit to make the transition. 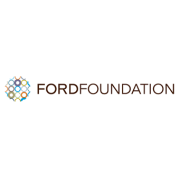 The MasterCard Foundation is an independent foundation based in Toronto, Canada with $10 billion in assets. Their vision is to create the opportunity for all to learn and prosper. 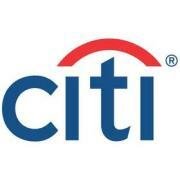 They promote financial inclusion and advance youth learning in developing countries, primarily in Africa. 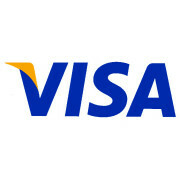 The Foundation was established in 2006 due to the generosity of MasterCard when it became a public company. From inception, the company intended the Foundation to be an independent entity. No company executives serve on the Foundation’s Board of Directors. The Foundation’s programs are serving more than 6 million people in 57 developing countries. Their funding and partnerships are concentrated in 26 countries in Africa and provide a combination of skills-building, education, employment, and access to financial services. They have chosen to contribute to the new story of an inclusive, more equitable Africa. They are encouraging collaboration and network-building among their partners so that proven models and approaches can be scaled. They believe this will allow people to create their own pathways out of poverty. The goal of the Financial Inclusion Program is to improve the wellbeing of people living in poverty by ensuring they have access to financial services. The goal of the Education and Learning Program is to enable access to quality, relevant secondary and tertiary education for economically disadvantaged youth and to develop next-generation leaders who will support social and economic transformation. The goal of the Economic Opportunities for Youth Program is to enable economically disadvantaged young people who are out of school, unemployed or underemployed to transition into employment. The United Nations Capital Development Fund (UNCDF) makes investments in the Least Developed Countries (LDCs). Established in 1966 as a special purpose fund of the United Nations, UNCDF now concentrates its investments in two areas: local development and microfinance. UNCDF is affiliated with the United Nations Development Programme (UNDP) and works closely with UNDP in every country where UNCDF invests. UNCDF also works closely with other UN agencies and with a wide variety of development partners, including multi-lateral and bi-lateral agencies and national governments. UNCDF is funded primarily by voluntary contributions from member states of the UN and through co-financing from governments and multi-lateral and bi-lateral organizations. UNCDF is committed to results-based management that combines quality programming with financially sound management. UNCDF produces concrete results through programmes that pilot innovative approaches to local development and microfinance for replication on a larger scale. 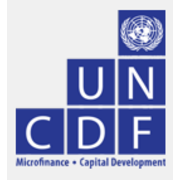 The United Nations Capital Development Fund (UNCDF) offers a unique combination of investment capital, capacity building and technical advisory services to promote microfinance and local development in the Least Developed Countries (LDCs). UNCDF's investment capital is flexible, high-risk and innovative. It is channeled primarily to poor rural areas in the LDCs where poverty reduction, capacity and governance challenges are typically the greatest. UNCDF currently invests in 38 LDCs with a total programme portfolio amounting to approximately US$200 million. Through its programmes, UNCDF strives to contribute to the attainment of the Millennium Development Goals (MDGs) and to the implementation of the Brussels Programme of Action for LDCs in a direct, concrete and measurable way. UNCDF concentrates its microfinance programmes on building inclusive financial sectors in the LDCs. The aim is to improve access by poor households and micro and small enterprises to the full range of financial services — including savings, credit, mortgages, insurance, pensions, payments, local money transfers, international remittances, leasing and factoring. Financial sector development programmes are designed to create enabling environments for a variety of retail Financial Service Providers (FSPs). FSPs include commercial banks, non-banking financial institutions (NBFIs), microfinance institutions (MFIs), credit unions, cooperatives, insurance providers, money transfer companies, mobile network operators [MNOs] and other institutions providing financial services. Since 2007, UNCDF has developed four main thematic initiatives. The "MicroLead" Facility of USD 26 million (of which USD 19.97 million are funded by the Bill & Melinda Gates foundation) is helping leading microfinance institutions and financial service providers from the South to expand their operations in LDCs. UNCDF is also promoting access to remittance services for the poor through its participation to the IFAD-managed USD 13 millions multi-donor Funding Facility for Remittances (FFR). UNCDF is finally promoting through a joint program with ILO a sector-based approach for the promotion of micro-insurance services. The first pilot countries where this approach was tested are Ethiopia, Zambia and Kenya, to be followed by other countries in Africa and Asia. YouthStart focuses on African youth, ages 12 to 24, who make up about one-quarter of the population of Sub-Saharan Africa.The MasterCard Foundation is partnering with UNCDF to help MFIs design and deliver high quality financial services for the growing youth market. Through a competitive process, it will select between 8 and 10 MFIs to receive technical assistance to innovate, deliver and document financial services to youth ages. Other thematic global initiatives focused on Clean Energy, Branchless Banking and Savings Groups are scheduled for launch in 2011. Local authorities can play a major role in this effort by ensuring more effective and accountable local infrastructure and service delivery for the poor and by improving the dialogue among the state, citizens, their communities and the private sector. By building local capacity, promoting institutional reform and policy change, and providing grant-funded investment capital, UNCDF assists local authorities to fulfill this potential. UNCDF's Local Development Programmes (LDPs) introduce participatory planning and budgeting systems at the local level. These programmes seek to ensure a voice for women and other disadvantaged groups in local public decision-making. The programmes also work within, and support, the national system of central-local government institutional and fiscal relations. Within its Local Development Practice Area, UNCDF currently invests in 23 LDCs with a strong focus on Africa and plans to expand its portfolio to 40 LDCs in the next five years. In 2005, UNCDF supported 493 local authorities and assisted these authorities in making 2,779 investments. UNCDF has recently launched programmes pioneering an innovative approach to pro-poor local economic development (LED). This approach emphasizes the importance and leadership of local authorities in encouraging and supporting local entrepreneurship and local enterprise creation.